Welcome back, everyone! 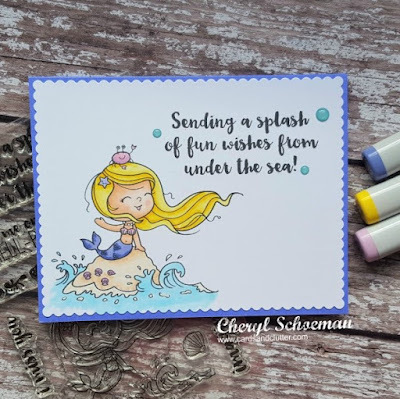 Today I'm playing along with Your Next Stamp's color challenge using the Darling Little Mermaid set. Here is a look at the inspiration photo along with the colors. 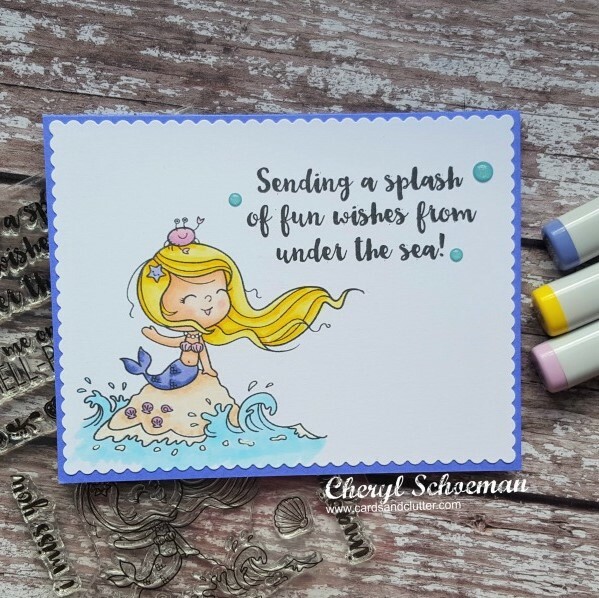 To start my card, I stamped the mermaid on a panel of white cardstock and colored her with copics. Then I die cut the panel with a scallop frame and adhered it to a colored A2 card. I stamped the sentiment and added a few blue gumdrops to finish off the front. Be sure to head over to the YNS blog to play along and see the other design team’s inspiration projects! Thanks so much for stopping by! I love reading all your comments! Thank you so much for taking the time to visit. AAA Cards - 4th Birthday! All content including design work, text, and photos is ©2017-2027 cardsandclutter.com. Everything here is for personal enjoyment only. Please do not copy or use for submission, publication, or other personal gain.